"Seasons - Jahreszeiten". 8"X8" 24/ Pkg. Double - Sided Paper Pad. 8 verschiedene Designs, jeweils 3x enthalten. 8"X8" 24/Pkg. auf dem Block steht als Bezeichnung. Double-Sided Paper Pad. 'Christmas Magic Collection'. " Love Notes". "Off to the Races - Pferde Rennen". 8"X8" 24/Pkg. Double-Sided Paper Pad. Motivblock. Ciao Bella (Italien). Double-Sided Creative Pad. 9 Bögen doppelseitiges Scrapbook - Papier. "The Sound Of Spring ". Motivblock. Ciao Bella (Italien). Wunderschöne Winter-Motive. Double-Sided Creative Pad. 9 Bögen doppelseitiges Scrapbook - Papier. "The Sound Of Winter ". Full to the brim with Santoro based desings and more gorjuss girls, add them to your craft makes and make them truly show-stopping. Graphic 45 Staples Rose Bouquet Collection Triumphant Red Papierblüten rot 15 T.
Papierblüten rot. Triumphant Red. "Rose Bouquet Collection". Graphic 45. 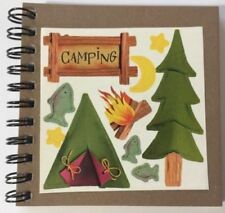 MAKE YOUR OWN SCRAPBOOK KIT. 24 sheet ring bound scrapbook. 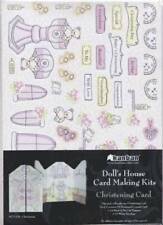 Top Craft Categories Coloured Card and Paper Fabric Paint Gift Kits Paint by Numbers Pottery Tools Sticker Books VIEW ALL. 8 self adhesive borders. Prima Marketing. Blütenmitten aus kleinen Perlen gestaltet. "Midnight Garden". Stamperia (EU). Motivblock. " Winter Botanic". 10 Bögen doppelseitiges Scrapbook - Papier. Double - Sided Paper Pad. Color: Multicolor Mix. Lot Size: 1pc. 6 months after the parcel was sent. Material: Paper. My Mind's Eye"In Bloom". Most international orders will arrive within one or two weeks depending on locations. This saves both of us money! RENDERE IL PROPRIO KIT DI SCRAPBOOK. 24 anello di foglio associato scrapbook. 8 glitter decorazioni. Type Album Kit. Basta seguirequesto link e iscriviti! Restituisce le informazioni. Motivi per acquistare da Quickdraw. Hunkydory's Perfect Paradise Luxury Foiled Acetate set contains 16 A4 sheets. The Perfect Paradise Luxury Foiled Acetate selection features a stunning selection of foiled imagery which perfectly. 8 x A4 / 8 1/4 × 11 3/4 sheets of 220 micron acetate. (12) 6X6 SHEETS OF DESIGNER SERIES PAPER, FRONTS AND BACK'S SHOWN IN 2 DIFFERENT PICTURES. A YARD AND A HALF OF THE BLACK/SILVER STRIPED 1/4" RIBBON. ALSO, INCLUDED ARE A BUNCH OF DIE CUTS CUT FROM SILVER FOIL PAPER NOT STAMPIN UP BECAUSE I like it better, lol. You can coordinate these stunning decoupage patterns with the Santoro range. Layer up your designs to create stand-out details, perfect for cards, scrapbooks and more. 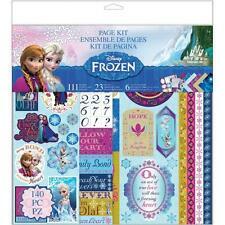 Includes four die-cut decoupage sheets (two designs) and four coordinating papers (two designs). Simple Stories " I AM" Snap Cards - includes 72 total cards. (48) 3x4 cards and (24) 4x6 cards. (15) of these have gold foil accents. Simple Stories[ I AM]. This saves both of us money! Millimodels sets are individually numbered and produced in limited editions of 500 for each set. Set GCS1 Great Central Railway local passenger train, circa 1905. It is hoped that one or two sets a year may be added to the range and produced in small numbers. Millimodels sets are individually numbered and produced in limited editions of 500 for each set. Set GWS2 Great Western Railway 54xx class loco and B set, circa 1935. It is hoped that one or two sets a year may be added to the range and produced in small numbers. This is from the "Just Sayin" line from My Mind's Eye. This includes 33 thick punch-out chipboard pieces with glitter accents. Most international orders will arrive within one or two weeks depending on locations. Heidi Swapp - Dreamy. This set is from the Project Life Dreamy Edition Core Kit. Becky Higgins Project Life. The larger 4" x 6" cards may vary from the cards shown in the photo. They are double sided so you are just viewing one side. Rouleau-presseur avec manche. Matière : plastique et caoutchouc souple. Poignée confortable Nettoyer à l'aide de ruban adhésif ou d'un chiffon humide. A ranger à l'abri du soleil et de l'humidité. Ella And Viv-Brick Backgrounds Collection Pack The perfect start to your next paper crafting project! This package contains eight 12x12 inch single-sided papers with a different design on each and one 12x4-1/4 inch coordinating sticker sheet Acid and lignin free Made in USA. . This set includes 4 rolls of decorative tape with gold foil accents - (10 feet each). Most international orders will arrive within one or two weeks depending on locations. This saves both of us money! This is avery cute set of high quality My Mind's Eyecoordinating glittered. "Boo to You! "12 x 12 punch-out Chipboard sheet. Most international orders will arrive within one or two weeks depending on locations.